It’s never easy to decide to dissolve a marriage, but with the help of Arizona Quick Divorce, that decision is the hardest part of filing for divorce in Arizona. 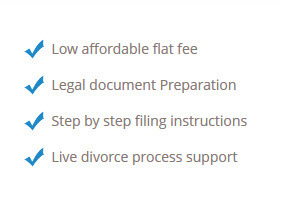 Instead of draining your bank account to pay attorney fees, you can get your online Arizona divorce paperwork completed quickly, easily and affordable. Lawyers can charge thousands of dollars for an uncomplicated divorce. Arizona Quick Divorce offers a range of services starting at $199.00 to save you time, money and trips to court while processing your Arizona uncontested divorce. Don’t be overwhelmed by blank divorce forms or do-it-yourself divorce kits. We provide AZ divorce forms, filled out for you by a certified legal document prepares, and complete instructions for filing or, if you choose our time saving full-service option, we will file the Arizona divorce paperwork for you. To get started on your Arizona uncontested divorce, just give us some general information. Our document specialists will fill out the divorce papers for you in just 24 hours, and all you have to do is sign the completed paperwork. We provide you with simple, step-by-step instructions and tell you exactly where to file the paperwork-or we’ll do it for you. Arizona Quick Divorce also offers unlimited revisions and corrections before filing, along with customer support by phone, email or office visits. Filing and/or court fees will depend on your county of residence and whether you have children. Using the services of Arizona Quick Divorce will yield the lowest filing fees for an Arizona uncontested divorce. Based on your income and number of dependents, we can even apply for a deferral or waiver of court fees. The State of Arizona has a few requirements to secure an Arizona uncontested divorce, including residency and type of marriage. Arizona requires petitioners to have a minimum in-state residency of 90 days to file for a marriage dissolution, and if you have children, they must have lived in the state for six months before you file for an online Arizona divorce. Your Arizona divorce paperwork must be filed in the county where you have lived for at least 90 days. Your online Arizona divorce is finalized when the judge signs the final decree. 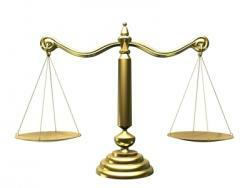 If you have to appear in court, it only lasts a few minutes and you will walk out of the courtroom a single person. The only legal basis for an Arizona no-fault divorce is your belief that the marriage is “irretrievably broken.” The court does not need evidence of misconduct by either the husband or wife in this no-fault state. As long as you truly believe the marriage is over, and you meet the residency requirements, you can dissolve your marriage with or without the agreement of your spouse. The sole exception is if your marriage is a covenant marriage. A covenant marriage is a legal contract between the parties that they will not divorce each other. The purpose of a covenant marriage is to make it harder for the married couple to end their marriage, so you will need legal advice to obtain a divorce from a covenant marriage. Divorce doesn’t need to be complicated or expensive. Arizona Quick Divorce has helped people obtain online Arizona divorces since 2001. Whether or not you have children, our low-cost, do-it-yourself filing instructions help you get a legal, fast online Arizona divorce. The online questionnaire gathers the same information that an attorney would need to prepare your Arizona divorce paperwork, and our legal specialists will answer any questions you have. Our convenient service allows you to process your Arizona uncontested divorce from the comfort and security of your home or office. If your time is limited, we suggest our full-service option that includes courier service to save you trips to court. Either way, we provide expert document preparation and caring service. Arizona Quick Divorce offers documents preparation services, we are not Attorney's and cannot give you legal advice or represent you in court. This service is for self-representation. We do not sell the court forms. We research by state and county of your residence and only provide document preparation service and or follow up of your case with the court that you filed your legal case. We cannot predict the final outcome of a case or make any guarantees, the final decision of any legal case is determine by the court. Why Use Arizona Quick Divorce?